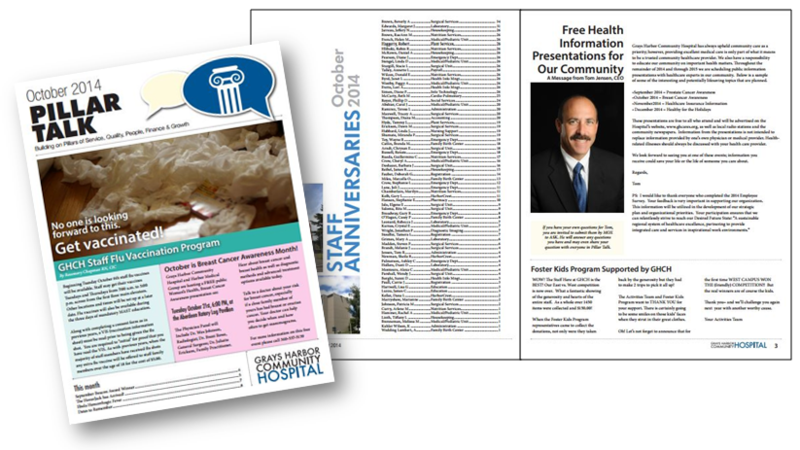 Grays Harbor Community Hospital is an institution with a long history, full of ups and downs. In recent years, alder|creative has been a major part of the reimagining of the design, messaging, and thoroughness of the brand. Over the past few years, we have been building a broader awareness in the Grays Harbor community with the slogan “Quality Care, Close to Home” and modernizing the feel of the brand in order to rebuild trust and create a sense of security within the organization. 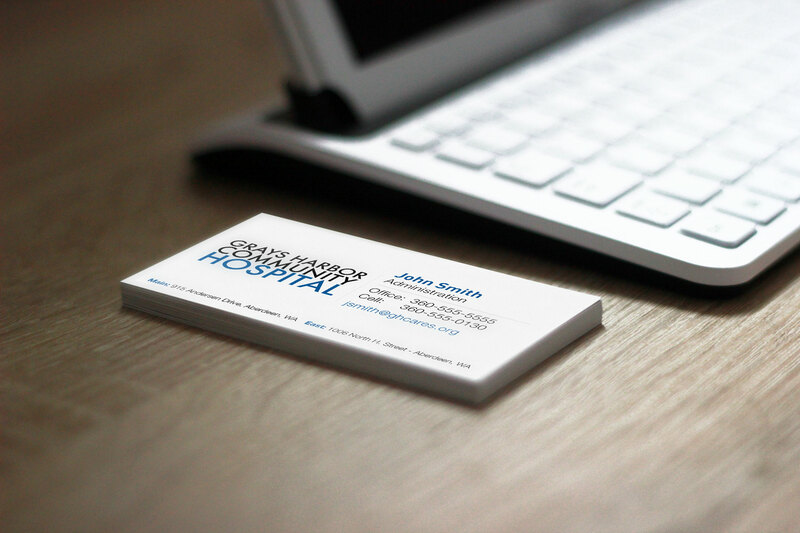 With a redesigned logo, offering a crisp and inviting text, we have redesigned many internal documents, business cards, promotional materials, advertising and more to match the aesthetic. 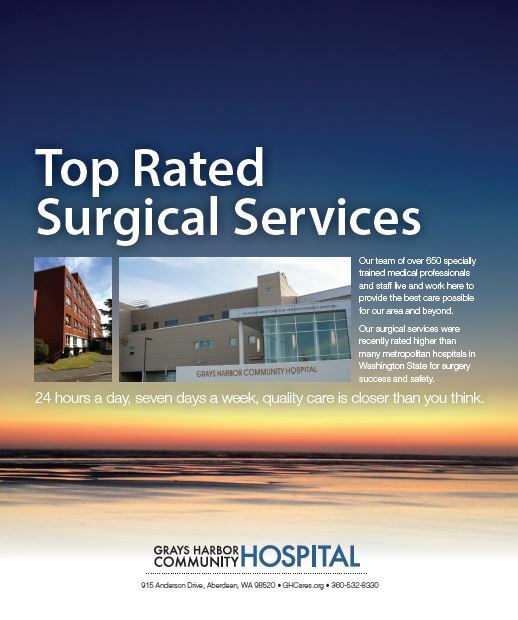 Our regular design and marketing consulting services at Grays Harbor Community Hospital and partner clinics have brought a sense of cohesion and orderliness to the organization. These qualities are key in building a trustworthy brand, especially in the world of health care, where lives are literally on the line and bad experiences can lead to extensively negative messaging spreading far and wide through word of mouth. Through design, video, photography, messaging, communications and more we have made great strides in improving the reputation of the organization in the community. Alder|creative brings advertising to the next level by working directly with the ad sales department to get specs right the first time. We gather information needed to produce a beautiful ad with on-point messaging. Then, we use that same concept across multiple media platforms to build brand awareness. Advertising space can be expensive, so we do our best to consult with you before making any big ad buying decisions. Our extensive experience in local advertising has given us the knowledge and awareness that enables us to point each individual business and organization in the right direction. Taking into consideration the goal of each advertising campaign, we do our best to maximize the value of your advertising dollars through print, online, social, events and more.